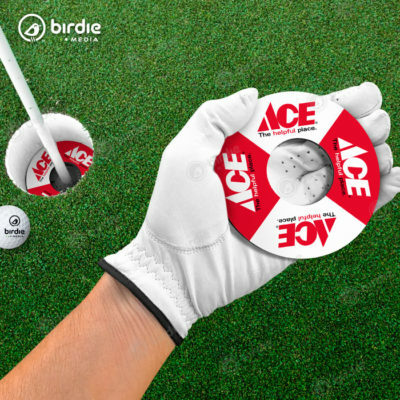 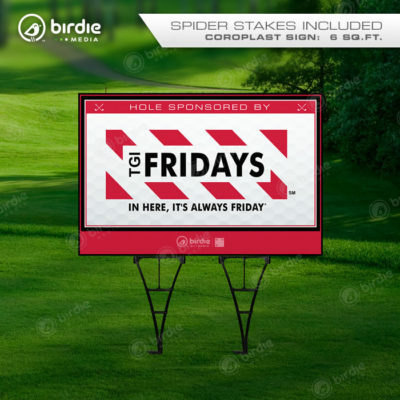 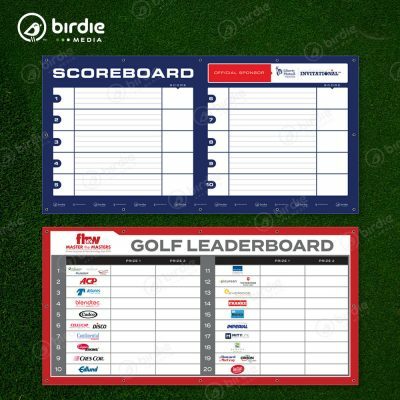 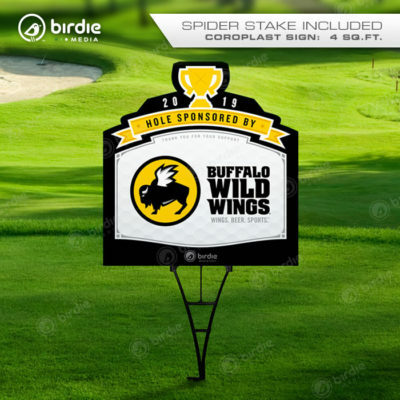 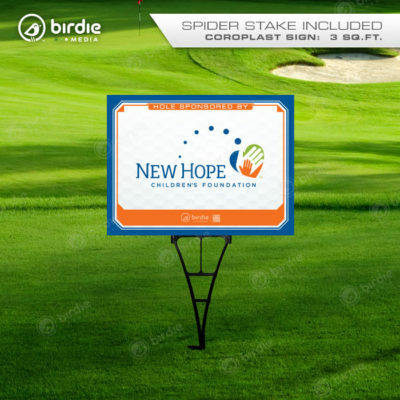 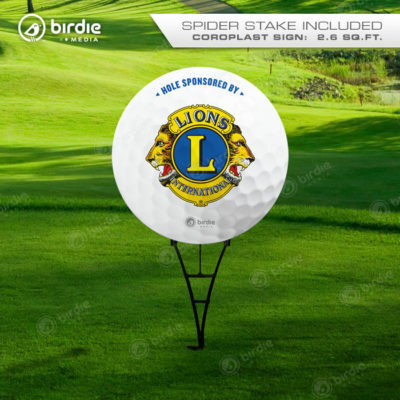 Birdie Media’s upgraded PVC Spider Stakes are more rigid than traditional wire stakes as well as rust proof making them ideal for supporting corrugated tee signs. 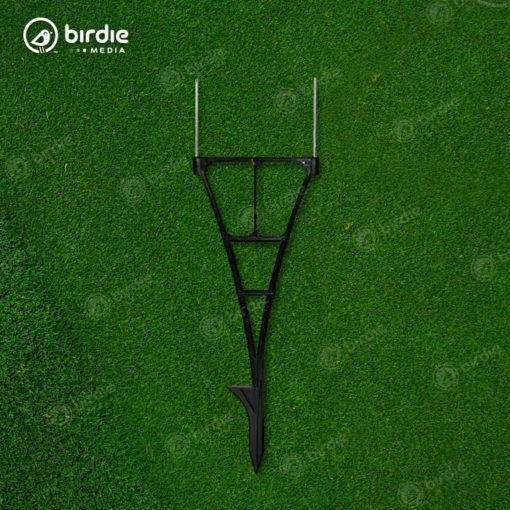 In addition to providing a more refined and aesthetic design, each Spider Stake includes a helpful “step peg” near the base for easier installation using the weight of your foot. Spider Stakes measure 26″ from top to base with 5″ wire stakes set 7.5″ apart.